Cascading. You could be forgiven if you think it has something to do with dishwasher detergent. However, it’s a very important technique used in satellite distribution to cut down on the amount of cable and number of splitters used. Cascading is when you use one thing to feed another thing. For example, you connect one multiswitch to another one. This saves extra cable and the use of a splitter. It’s ok sometimes, sometimes it’s risky, and sometimes it shouldn’t be done. 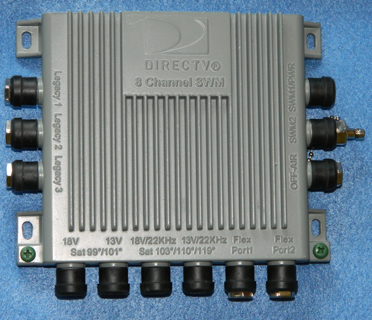 DIRECTV says that you can cascade one SWM32 multiswitch from another with no problem. However you can’t cascade a third multiswitch from the second one. 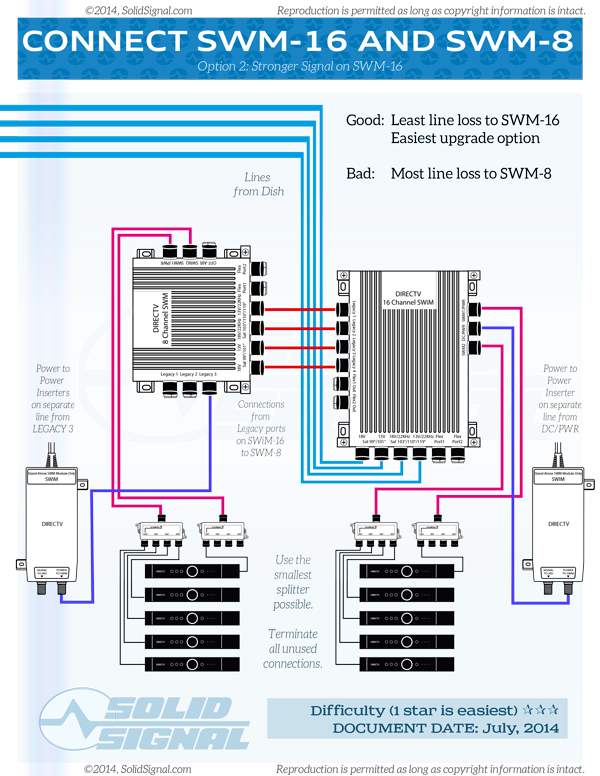 You can connect one SWM8 multiswitch to another, or a SWM8 to a SWM16, or a second SWM16 to the first. This isn’t DIRECTV-approved but it does work in most cases. The output level of the legacy ports is lower than the input level from the dish, and the line has more noise in it. So it should work most of the time but sometimes could result in signal issues. You should never cascade three multiswitches in a row, not ever. In other words, if you connect one multiswitch to another, don’t ever connect a third one to the second one. The line will be too noisy and the power level too low. It just won’t work for more than a few minutes, if it works at all. Cascading is done all the time in apartment complexes and if you do it right, it works great. Just remember not to go “too far” with it and you’ll be fine. Should you remove the icicles on your antenna?